You may know that I am US American born, and that I live in México. The latter is a huge country overflowing with diversity, art, and tradition. México is the world’s 13th largest economy, home of a growing middle class. Here in Mazatlán where I live, “Day of the Dead” is a big deal. Many families and businesses decorate altars and visit cemeteries to honor, remember, and often party with the dead. We have a huge street walk with marching bands and flowing beer, and a beautiful event involving dance, music, and poetry in our historic theater. Many locals and immigrants paint their faces and dress up. 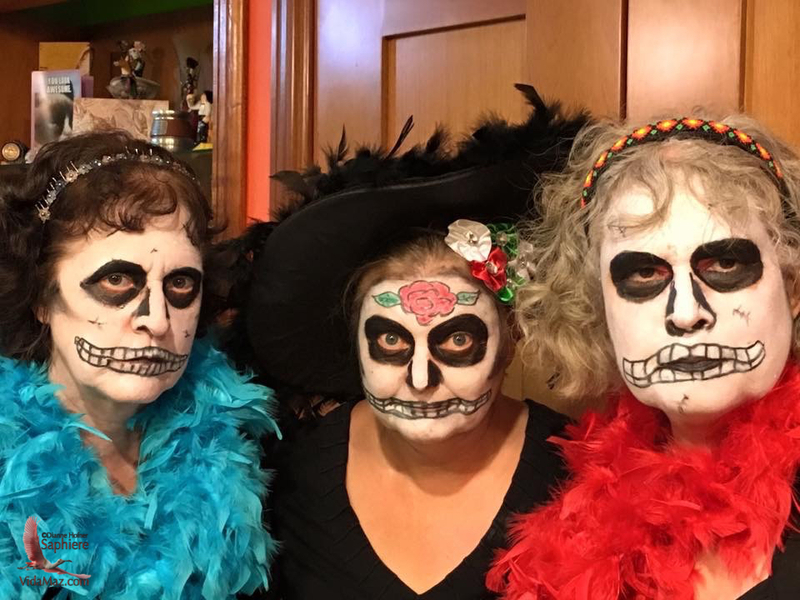 However, not many of us here realize that there has been quite a backlash outside of Mexico to the cultural appropriation and commercialization of Day of the Dead by non-Latinos. I first realized how “hot” Day of the Dead was on my recent visit to a US liquor store. There, I was astounded by the quantity of Day of the Dead- or calaca-themed beer and liquor! 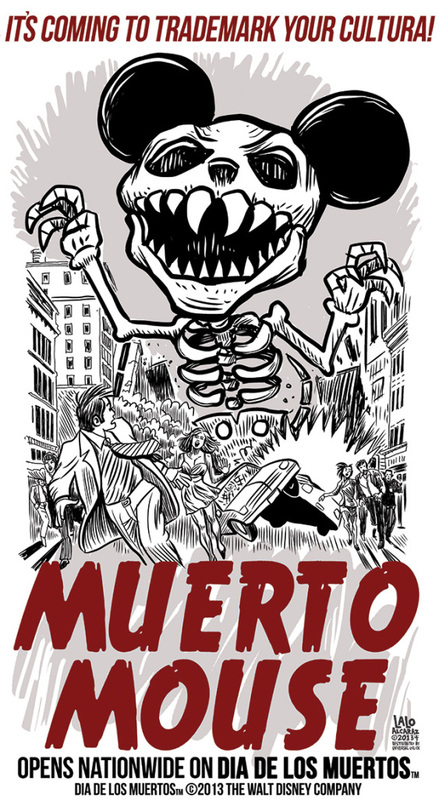 To be honest, skeletons and skulls in and of themselves seem to be popular, and anything Mexican (amigos, lucha libre…. ), Spanish (Don Quixote), or mystical (voodoo) as well. The commercialization is, indeed, real. Click on any photo to enlarge it or view a slideshow. And the urge to colonization is born when your own land and resources have been taken over by the greedy and your cultures have been bankrupted. Halloween has a rich history as an indigenous European holiday that celebrated many of the same themes as Day of the Dead, but you have let it be taken over by Wal-Mart… You have abandoned Halloween, left it laying in the street like a trampled fright wig from the dollar store. Take back your holiday. Take back your own indigenous culture. Fight to reclaim your own spirituality. The movie was re-titled to “Coco,” no doubt so that Disney could trademark the title and create a website. One of the most spirited activists to oppose the trademark application was cartoonist Lalo Alcaraz, creator of that incredibly powerful graphic above. In a great act of corporate listening and learning, he was recently hired on by Disney to work on the film about which he protested! Our speaking up to defend our heritage can have positive results! The movie is being made, showcasing a beautiful tradition, and it now includes more representation from the very culture it portrays. Today as I started to write this post, I read an interesting article in The Atlantic: “The Do’s and Don’ts of Cultural Appropriation.” In it, Jenni Avins provides six recommendations to prevent appropriation, including involvement of and engagement with members of the culture. She points out that cultures are fluid and constantly changing, so we can’t ask that they stay frozen in time. On the other hand, foreign passion has often helped preserve native traditions, arts, handicrafts, music, dance, literature and even languages. Like Aya, she highlights the importance of acknowledging and honoring the source, the origin, of cultural arts and traditions. Jenni also provides two “don’ts”: never wear blackface, and never use sacred artifacts as accessories. If you celebrate Day of the Dead, please, participate in and enjoy the festivities, and use the opportunity to truly remember those who have preceded us in death. Day of the Dead provides a perfect time for us to learn from our Mexican and Latino neighbors and friends, and to share with them a human universal: remembrance and longing for those we’ve loved and lost. I would heartily welcome your sharing with us stories of when you felt torn between wanting to participate in or honor a culture, and fearing that you were appropriating. For me, I quickly remember two different occasions when esteemed colleagues gifted me beautiful and expensive native dress, and requested that I wear it during training. I just couldn’t. I felt comfortable to wear their gifts for a social occasion, but for an intercultural training, where I was in a power position, and not a member of or fluent in the culture the dress represented, it just didn’t feel right. Yet I know I disappointed my colleagues. I do wear blouses made from kimono fabric, or blouses or skirts from other cultures. There’s just something about a complete outfit and hairstyle combination that makes me feel like I’m trying to be something I’m not. How about you? Do share!